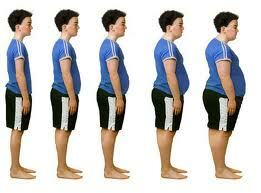 We all know that being overweight is unhealthy. But many don’t realise the complete list of health issues that can come from being over or under weight … it’s all about how out of balance we are. We can support everything to do with weight loss or weight gain – how long it takes depends on how out of balance we are! And yes, footballers and weight lifters are an obvious group who we would look at the VLA carefully, as they’re huge but not obese! Our VLA BioImpedance Screening shows us where your body is sitting. But there’s more to it than that (what a surprise!!) You can be a ‘healthy overweight person’ if your fat cells aren’t toxic and if your muscles aren’t marbled with fat. But once the body is inflamed, it eats away at the muscle mass and creates fat tissue. We would recommend our VLA BioImpedance Screening; Insulin Resistance Testing; and OligoScan to check this out. less muscle mass, therefore less ATP (energy molecules). The less muscle mass, the less cellular energy being created. hard to diagnose or recognise (if you don’t know a practitioner with a VLA!) since these people are often healthy weight. if the COMBINATION of excess fat PLUS how much muscle you need to gain, adds up to 20% of your weight – you get the same health issues as being obese. therefore, it’s linked to an overactive adrenal system; a slowed down thyroid system, poor liver and digestive function, inability to store fluid in the cells. It gets to the point where even when life is good, the stress hormones being released (all the time) make it harder and harder to feel happy and optimistic. abdominal/visceral fat particularly is linked to releasing AT LEAST 32 inflammatory hormones at all times! Why is Sugar, particularly Fructose, so bad for our Health? Sugar is driving every metabolic disorder that is killing humans: heart disease, cancer, obesity, diabetes, dementia. In the 70’s when heart disease and diabetes was on the rise, we were told that fat was the villain. Companies, governments, medical researchers all around the world jumped on this bandwagon and now ‘low fat’ products – muesli bars, yoghurts, milks, drinks, chips – were better for you – with the idea that if a food didn’t have fat in it, it couldn’t make you fat! However, take the fat out of food and it tastes awful, so they had to replace it with something – sugar! Eventually sugar became the essential additive. Foods then became low in fats, high in sugar which is so much worse for our health. 98% fat free yoghurt – you might as well is eat lollies or ice-cream! The Heart Society actually recommended (in the 80’s) that high fat foods be replaced by: hard candy, gumdrops, sugar, syrup, honey, jam, jelly, marmalade – in order to ‘control the amount and kind of fat, saturated fatty acids and dietary cholesterol you eat’. Even now, the tick of approval, seems to have nothing to do with health. So, in the 70’s and 80’s sugar was recommended, instead of fat, to keep up healthy! Now that 60-70% of Australia’s population are overweight and obese, it seems that the low-fat diet we’ve been following for 30 years hasn’t worked. In naturopathic circles we’ve been working against this for decades, however that ‘tick of approval’ from the National Heart Foundation, is what so many people go by for their health. The National Heart Foundation claims that the tick is ‘simply to help consumers find healthier options’ – how is 30% sugar a healthier option? In the U.S. there’s been a 7 x increase in sugar consumption in the past 40 years – tomato & barbeque sauces, processed foods, hamburger meats, hamburger buns – just about anything with a ‘label’ has added sugar, or sugar alternatives such as aspartame, which are equally deadly to our health. Since the agricultural revolution – when grains became a major part of our diet – our carbohydrate intake has slowly increased – but never more so than in the past 40 years. This leads to a constantly high insulin levels, which messes with our metabolism, and allows us to lay down fat in our bodies. In fact, insulin is the main hormone which causes fat deposition in the tissues. The higher the insulin, the more likely you are to store fat. Now, if it’s subcutaneous fat, the type that stores just in underneath the skin, that’s not so bad. Visceral fat, however, is deposited around the gut, intestines, liver and other organs – is incredibly bad for us. Visceral fat releases ‘pro-inflammatory hormones’ which cause inflammation elsewhere in the body: causing diabetes and heart disease. It is possible to be lean, and metabolically unhealthy. Around 40% of ‘thin/normal weight’ people are metabolically unhealthy with abnormal levels of visceral fat and poor insulin metabolism. Sugar is a simple carbohydrate made of two molecules: glucose and fructose. This bond is cleaved in the gut, before it’s absorbed. It’s been shown that glucose drives the fat storage just in underneath the skin, whereas fructose deposits fat around the organs, like the liver, causing fatty plaques. When you have excess fat around the liver, it messes up fat and insulin metabolism and you end up with Insulin Resistance. This is when the liver doesn’t work effectively, so the pancreas has to release excess insulin. Insulin Resistance also causes hypertension, changes in the brain that might result in altered brain function, altered cognitive function and even dementia. It can increase cell proliferation which can cause cancer, it can cause vascular smooth muscle proliferation which can cause heart disease. Professor Robert Lustig, Paediatric Endocrinologist at the University of California, San Francisco, says that Sugar can also accelerate ageing: if you had your fruit juice this morning, you are ageing 7 times faster! When you ‘paint’ your BBQ meat with BBQ sauce, it browns the meat. This ‘browning’ is happening inside your body as well. It’s known as the ‘browning reaction’ and it causes cellular ageing. The reason manufacturers add fructose is because is browns better, faster, quicker. It’s why it’s added to bread (to brown the toast), sauces (to brown the meats) – it browns your insides better too! If you had a glass of fruit juice this morning, you’re ageing 7 x quicker! Fructose is mainly found in fruit, that’s why they call it fruit sugar. Now, you might be thinking ‘how can it be bad for me – it’s fruit!’. But if you had to have the entire amount of fruit that we would have used to make the juice, you would be so full you couldn’t eat the meal. Juicing removed the fibrous pulp portion of the fruit – so you can take in a whole lot more calories without feeling as full, and it’s the fibrous pulp which balances the sugar/fructose portion of the fruit! If you’re going to eat fruit, eat the whole fruit – because it’s the fibre that tames your insulin response to sugar. Chronically high levels of fructose is not only toxic to your liver, it messes with the hormones that control appetite. There’s a hormone in your stomach called ghrelin which controls your appetite – it’s the hunger hormone. When your stomach is empty, the ghrelin goes up, tells your brain it’s time to eat. Then you eat, and ghrelin levels go down, the hunger goes away. When you eat sugar, fructose does not get registered by the brain as you having eaten, you stay hungry! If you need support in finding out what you should (and shouldn’t) be eating – call us on 3348 6098 to make an appointment. We find that many of our clients have issues with Insulin Resistance, dealing with Fructose, releasing ghrelin and so much more! Acne is no longer the incurable problem it was 30 years ago. In the past, acne caused profound suffering for many people. Acne is a skin condition which may occur on the face, neck, chest and back. It is also more prevalent, estimated that up to 80% of Aussies suffer from acne at some stage in their lives. Simply put, acne is associated with blockage of the sebaceous gland ducts. Sebum continues to be produced by these glands forming comedones (blackheads and whiteheads). These often become inflamed to form papules, pustules and cysts. But what causes these block ducts? Several hormones such as testosterone, androgens, dihydrotestosterone (DHT) and dehydroepiandrosterone sulfate (DHEAS), as well as insulin-like growth factor 1 (IGF-I) have been linked to changes leading to acne. Still the exact mechanism remains a mystery. Every hormone effects every other hormone – when one is out of balance, it effects every other hormone. Increased turnover of skin cells. Meaning cells die faster and new ones grow to replace them. This means there are more dead skin cells in the skin pores, causing blockages. Skin cells failing to separate after death. Normally skin cells separate after death so they can be easily pushed out. This is controlled by a hormone called IGFBP-3. Blood sugar problems bring down IGFBP-3 levels. So more skin cells remain together and block the skin pores. Inflammation of the blocked pore. It has also been found that there is insulin inside the blocked pores – allowing growth of other infections besides P. acnes. Problems with blood sugar metabolism are caused by insulin resistance, which is a result of wrong diet and lifestyle habits. Insulin is the hormone that takes the glucose (sugar) from the bloodstream and escorts it into cells. In people with insulin resistance cells are resistant to insulin. Therefore the pancreas has to release more insulin to bring down the blood glucose levels. Insulin is closely related to the hormones that have been linked to acne. More insulin means more of the hormones that have been linked to acne. Closely related to insulin resistance is a condition called chronic, low-intensity inflammation. Inflammation is the body’s response to injury. This is true whether the injury results from a cut or bruise or an immune system reaction. As the immune system reacts to an invader it also damages the nearby cells and causes insulin resistance in them. In case of an acute inflammation this is not a problem as it only happens in a limited area, such as is the case with cuts and bruises. Chronic or systematic inflammation is entirely different matter. Inflammation turns chronic when the offending substance (such as chemicals and toxins) or pathogen (for example bacteria and virus) persists in the body. Inflammation turns systematic when the circulatory or lymphatic systems spread the offending agent all over the body. finding underlying infections – there are often co-infections in those with chronic acne. Adrenal Fatigue is such a huge problem in society these days, each person’s history is totally different, and the ability to prescribe a one-off bottle of Adrenotone and fixing it is just about over. Signs that you may have adrenal fatigue! 5. increased sleep problems If you feel “wired but tired” you likely need some adrenal support. We also see signs of exhaustion in a number of our clinical tests including Live Blood Screenings and Bio-impedance Analysis Screenings. Starving Hungry on HCG Weight Loss Protocol??? Chatting to a new client yesterday who really has had trouble with HCG in the past. Is it a problem being starving for the whole time on HCG if you can manage to work through it??? Absolutely YES!!! * Without the HCG Drops working, you will probably regain the weight you’ve lost, and more, due to the fact that your metabolism is slower, your body composition is worse (more fat, less muscle) and it takes some time to reverse that. * Resist X. 2 tabs 3 x daily. Embarking on a health journey is a brave move to make. It means looking at the issues you may have avoided for a while and facing them head on. It’s a process that is often scary yet can also be richly rewarding. When you are the best version of yourself you can be, you can really shine and be there for those close to you. It can be said that it’s a means of coming back to your basic self – seeing your body as a precious temple and paying attention to what you really need. It’s treating yourself gently and gaining a greater connection to the whole of you – body and mind. As one of my favourite authors Sarah Avant Stover puts it – the only way out is in and through. To go through our health issues rather than going around them is the only real way to back to balance and health. At New Leaf, we are committed to your success in this process. We know it’s yours, to go through in your way. Offering a harmonious range of therapies, we seek to find the real cause of your health issues and guide you back to balance and health. Eat a fresh, wholefoods diet. When you eat fresh, vital food, you feel just that. Everything we eat nourishes our cells. If we consider that the body is really the only vessel we have to take us through this lifetime, it makes sense to nourish it with the best food possible. Drink a minimum of 2 litres of pure filtered water daily. Besides hydration, there are countless benefits of drinking adequate pure water. Improved energy, detoxification, digestion, skin condition and weight loss are just a few. Limit caffeine, or better still, cut it altogether. Caffeine creates extra work for your liver, and can place stress on the adrenal glands and nervous system. It also promotes dehydration and in the long term, fatigue. There are many delicious herbal teas and coffee alternatives available in supermarkets and health food stores. Sleep 8 hours a night. While sleeping as little as possible in modern society is often considered admirable behaviour, the truth is, it promotes premature aging, weight gain, can increase stress and complicate many other health issues. It may require changing your usual routine a little, but getting 8 hours of quality sleep a night is an investment in your health. Spend a few minutes a day alone, doing some quiet breath awareness in a comfortable seated position. All you need do is focus on your breath with your eyes closed. This can have wonderfully beneficial effects on your nervous system, improving mood, reducing stress and creating calm. A calm body heals well! Increase body movement. This means different things to different people. Start with where you are at in terms of your current physical fitness, and do what feels right for you. Even if it just means adding incidental exercise by taking the stairs instead of the lift, walking to a colleague’s desk rather than emailing, or taking a short walk before or after work. Start where you are at the moment and build gently from there. These are simple steps you can take today to improve your body’s ability to balance and heal. You can do one at a time, a few, or all of them, whatever feels right and good for you. It’s up to you. We look forward to supporting you in achieving a state of greater health. So… your insulin resistance is too high – on the way to diabetes? You know, I hear it in my clinic each and every day – my doctor’s checked my blood sugar levels and I’m totally ok… Doug or I check their insulin resistance and it’s in the high risk for diabetes. It’s damaging and inflammatory and it’s NOT OK! It means that when you eat carbohydrates (anything that turns into sugar – grains, sugar, flour, fruits, starchy vegies (potatoes, pumpkin, carrots, corn etc) creates insulin which, instead of creating energy, increases inflammation and is NOT giving you energy… Your cell membranes are either not functioning properly – not allowing insulin inside the cells OR the internal pathways within the cells are getting jammed and not allowing the energy production from insulin. No. It is a crucial hormone – each and every cell in your body requires it to make energy. Is insulin resistance bad? What health problems does insulin resistance cause? How can I find out if I have insulin resistance? We do a simple blood test (2-3 drops from your finger – the more hydrated you are the easier the test is!!!) which gives us the results in about 3-4 minutes. Easy! Are there supplements I can take to reverse insulin resistance? combination of these 2 if it’s really dangerous! Shake It Extra – high protein meal replacement with the ingredients of insulex in the formula. What foods should I avoid until my insulin resistance is within the ‘safe’ range? alcohol – turns straight into sugar – and our body burns it down first, before anything else! Starting to make a little sense?? Chronic Fatigue Sufferers – there really is hope!!! So you’ve had every test done under the sun, and they can’t find anything wrong. Genetic breakdown – we can see in live blood analysis a damaged monocyte – monocytes should have one nuclei, and yet when our telomeres (which protect our genes from damage) shrink, the monocytes start having more than one nuclei – we can see this and determine if this is part of your chronic fatigue/fibromyalgia. Liver Toxicity – the liver does a million things – we all know this, but it’s not a very good multi-tasker. If it is overloaded by stress hormones, adrenalin hormones, pain hormones or toxicity from an environmental cause, then quite often it just shuts down. Normal liver tests only show us when the liver is breaking down. We can see signs with live blood analysis and bio-impedance analysis… further signs that the medical tests aren’t looking for. Caffeine/Sugar/Wheat/Dairy Addiction – if our body has low cellular energy (which we can determine correctly from VLA/bio-impedance analysis testing), then we turn to foods, caffeine, sugar, wheat and dairy to give us what we need… Wheat and dairy, particularly, can cause total exhaustion if we have a DPP4 enzyme deficiency – this can cause wheat and dairy to create ‘opioids’ in the bloodstream. Opioids can cause either total exhaustion or manic behaviour depending on how it affects us. If it’s caffeine and sugar, these exhaust the adrenal glands further and make the chronic fatigue last longer. Allergies: quite often people have NO signs of allergies other than exhaution. Over the years we’ve seen allergy signs such as depression and anxiety, stress, hormonal toxicity, pain, headaches and migraines and more. We use live blood analysis and kinesiology to determine how allergic the body is and what we’re allergic to. This is VERY DIFFERENT to medical allergy testing. We also find sensitivites and intolerances, which can cause all of the huge problems that allergies do. We also do a rotational diet, where appropriate, and slowly re-introduce foods and find out if they are causing issues. Insulin Resistance: Doctors will always check for blood sugar, but rarely (we’ve NEVER seen it) checked for insulin resistance. You can have the most perfect diet, but not be getting nutrients out of your food. All cells, including the brain, require insulin for energy. If your body is insulin resistant, you are not getting energy from your food, you are burning muscle and muscle nutrients for energy… this is a very bad, pre-diabetic condition. What do we suggest for long-term improvement and recovery from chronic fatigue syndrome/fibromyalgia? Firstly we need to safely, carefully and slowly detoxify. We use a combination of infrared saunas, frequency specific microcurrent, natural supplements such as Adrenotone, Resist X, Meta B Complex. For oestrogen detoxification we use Estrofactors, Meta I3C, OestroCalm. For Adrenal and nerve regeneration we use Adaptan, Stressan, Relaxan and Resilian. For liver toxicity we use Phyto Essentials, PhytoPro, Lipogen and Silymarin. We also recommend lymphatic drainage massage and kinesiology to help detoxify emotional toxins, liver toxins etc. Please don’t let anyone tell you that type 2 diabetes has no cure, as this is not true. Type 2 diabetes is not terminal; you don’t have to live with it forever! Nearly 100 percent of type 2 diabetics can be successfully treated — eliminating the symptoms of diabetes, or the high risk of developing health complications — if you are willing to implement the lifestyle changes discussed below. These same changes will also drastically reduce your risk of the disease, so you can avoid developing it in the first place. Severely limit or eliminate grains and sugar from your diet, especially fructose, which is far more detrimental than any other type of sugar. This is extremely important! Drinking just one sweetened drink a day can raise your diabetes risk by 25 percent compared to drinking one sugary drink per month, so you really need to evaluate your diet and look for hidden sources of sugar and fructose. Artificially sweetened food and drinks should be avoided as well as they are incredibly toxic to our nervous systems causing problems such as dementia and depression. Exercise is an absolutely essential factor, without which you’re highly unlikely to get this devastating disease under control. It is clearly one of the most potent ways to lower your insulin and leptin resistance. Make sure to incorporate high-intensity Peak Fitness exercises. These types of exercises boost fat loss, promote muscle building, and help your body produce human growth hormone (HGH) naturally. Typically, you’ll need large amounts of exercise until you get your blood sugar levels under control. You may need up to an hour or two a day. Naturally, you’ll want to gradually work your way up to that amount, based on your current level of fitness. Monitor your fasting insulin level. This is every bit as important as your fasting blood sugar. You’ll want your fasting insulin level to be between 2 to 4. The higher your level, the worse your insulin receptor sensitivity is. The recommendations mentioned above are the key steps you need to achieve this reduction. As the new leaf team to check your insulin resistance levels as well. Having optimal vitamin D levels can also prevent type 1 diabetes in your children if you are pregnant. It’s also vital for infants to receive the appropriate amounts of vitamin D in their early years for the same reasons. Ideally, you’ll want to do this by exposing a large amount of your skin to appropriate amounts of sunshine (or a safe tanning bed) on a regular basis, year-round. Your body can safely create up to 20,000 units of vitamin D a day this way. Just remember to get your levels tested regularly by a proficient lab to make sure you’re staying within the therapeutic range.